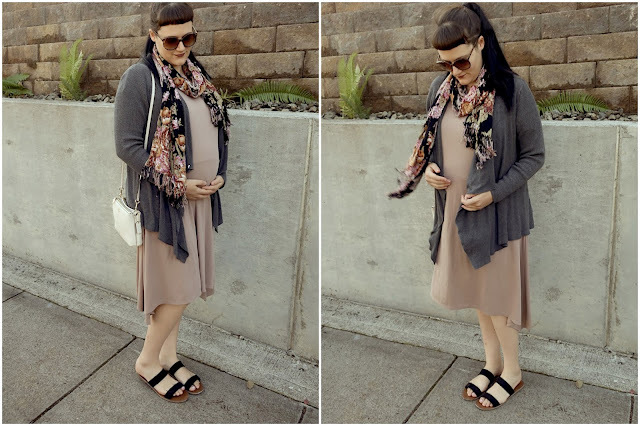 I knew that the presses I purchased at Zara in Portugal would come in handy during my pregnancy. 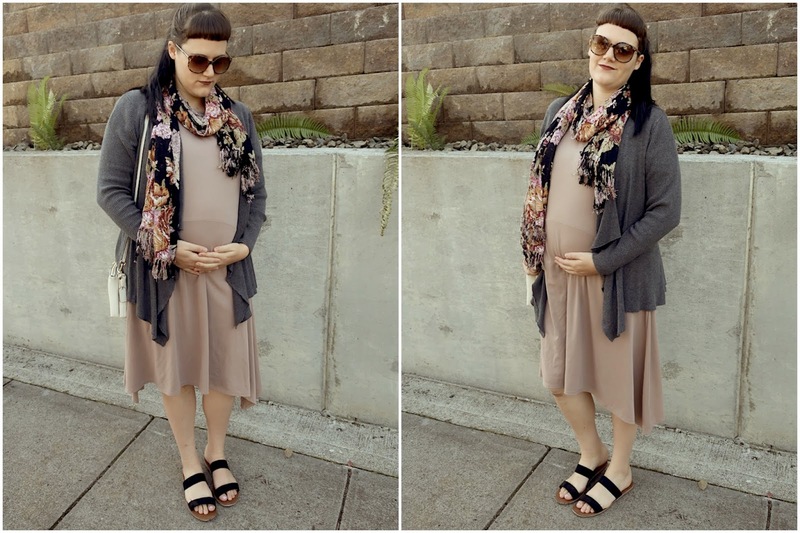 This taupe one is so light and comfortable I was able to wear it all summer long and well into fall. Once it got colder, I just started layering. I'm about 7 months pregnant here.